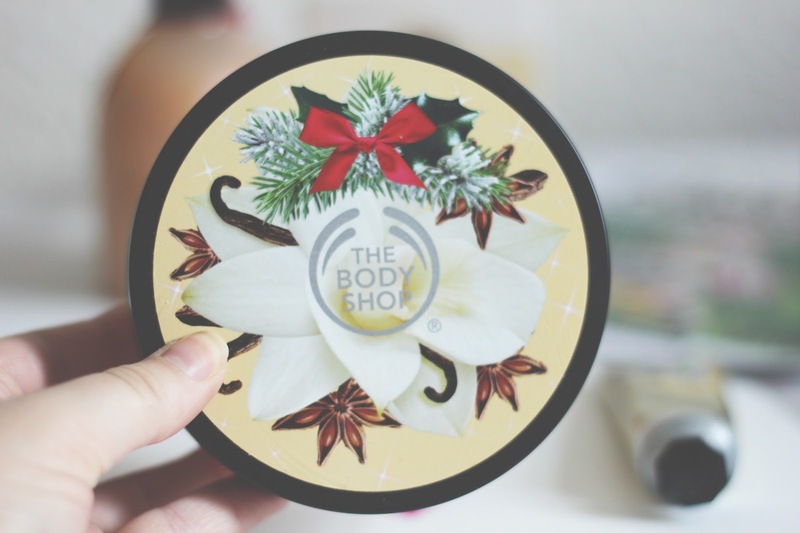 Christmas With The Body Shop. Christmas for me is the most magical time of the year, I enjoy having long hot baths and drinking hot chocolates. I find using all my favourite products makes the colder weather that more enjoyable. Now the next part of my relaxation is candles, I have them all over the house. I find having candles lit whilst watching a film makes the house feel extra cosy. This candle by The Body shop I was so excited to see in the box, it smells amazing and soft. The packaging is simple and it comes in a few more scents. Frosted berries which is right up my street and spiced apple which is perfect for Christmas. 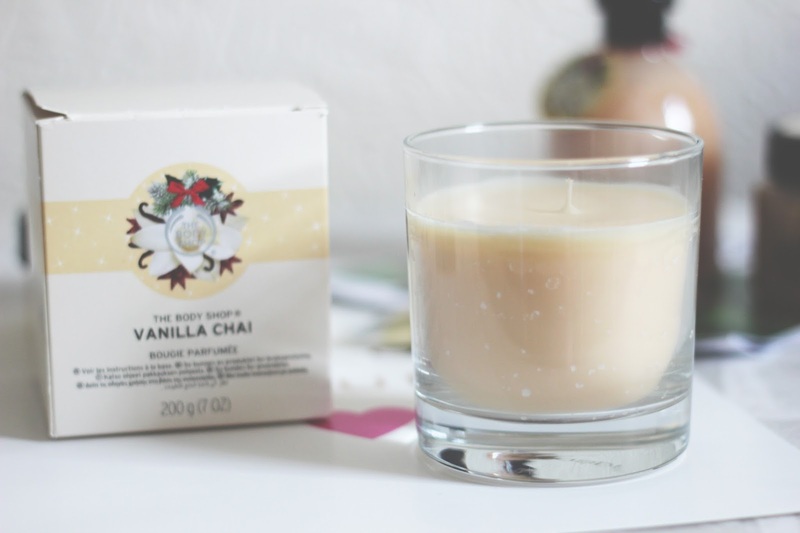 Right now during the colder months this vanilla one starts me off well with my festive candles. 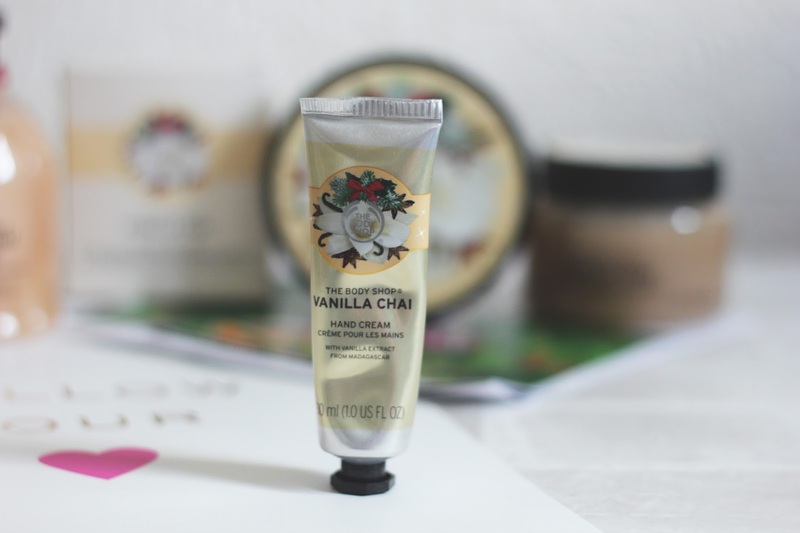 Cold mornings and dry hands does not sound great but when you have this hand cream from the Body Shop in your bag life would be much easier this Winter. I enjoy using hand creams but I am very fussy about them, this one is fab though. The scent is so warm and inviting, sinks in quickly to the skin which is a must for me. This hand cream is going straight into my hand bag, the scent is amazing. As I was saying a warm bubble bath in the festive season is just what I need after a long day at work. I really enjoy bath products from The Body Shop in general but wow this is a cracking scent. It leaves the bath smelling incredible and you feel all warm and cosy. Super excited to pick up some more of this and try more of the festive scents. We al know how good the body butters are from The Body Shop,this one is no different just extra special for the Christmas period. I really enjoy using body butters in the Winter, they really sink into the skin leaving you all soft and smelling great. I'm not very well today so I took a bath using the bath foam and after I used this. My spirits are lifted and after this post I am lighting the candle and having a much needed movie day. 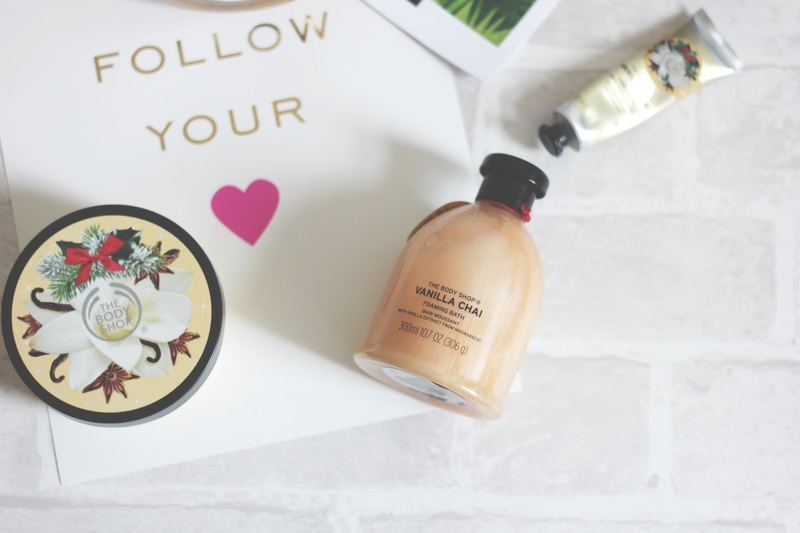 Overall what an amazing body butter, yet again no faults here. 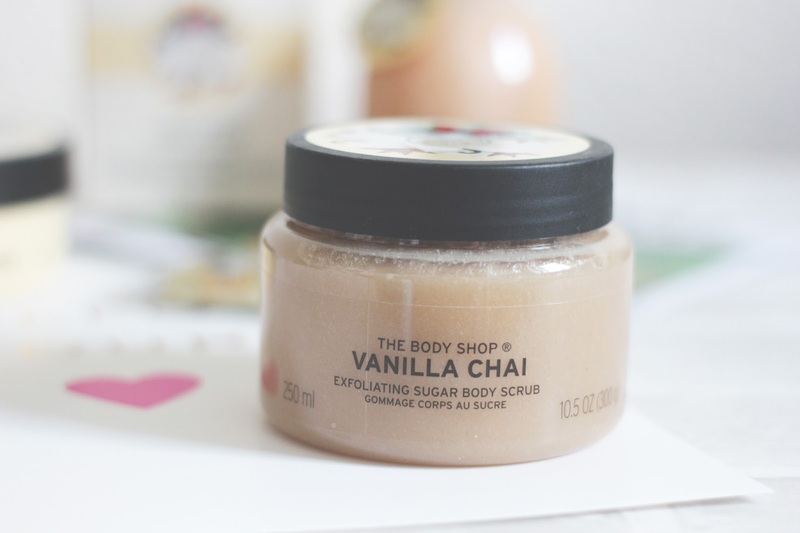 Now a good body scrub in the Winter is an essential for me, this one I was so excited to try out. This sugar scrub is fantastic and leaves the skin super soft and exfoliated. Again what a perfect set to have in this scent for Winter. This product I never want to run out of, I am looking forward to the colder nights and cosy baths. Overall this package made me super excited for Christmas and the colder weather, I am a big fan of the Summer but when you have products like this how can you not be excited. 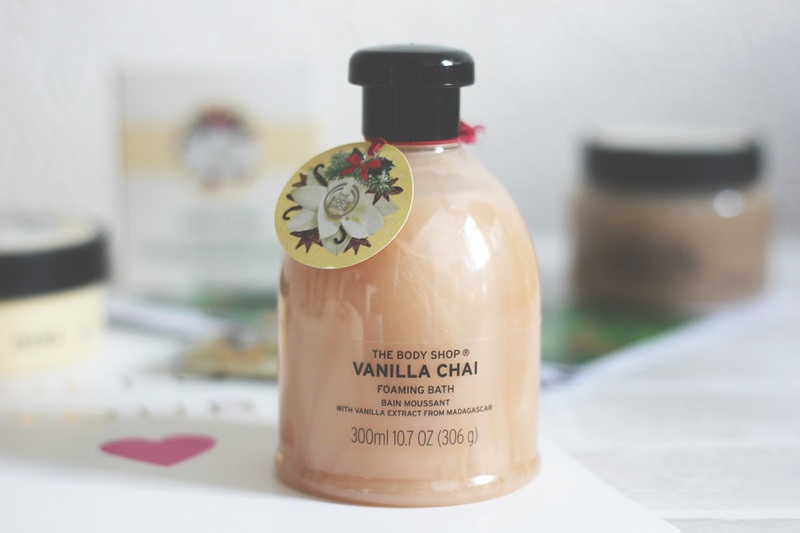 I usually enjoy scents such as the Frosted berries but this vanilla range surprised me. I have been enjoying using it and it is super relaxing, leaving me smelling great. Thank you to the Body Shop* for sending me this package, yet again you have created some amazing products. I am a huge fan of you and so many things are going on my Christmas wish list this year. 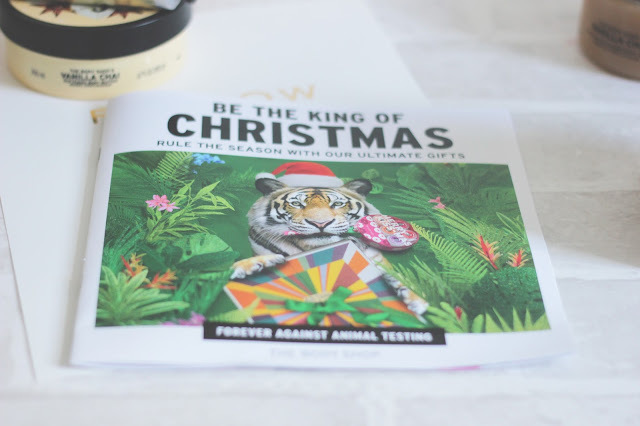 What do you think of this Christmas range and have you seen the advent calendars , what a dream?